Short english stories with moral for kids is an interesting way to teach your children about good morals and right conduct. These moral oriented kids stories can also be used as bedtime stories. We provide valuable resources for teachers and parents too. We update regularly, and therefore have the best and latest resources, activities and inspiring stuff. All these resources are absolutely free for you. Browse, listen, read, play, and have fun! 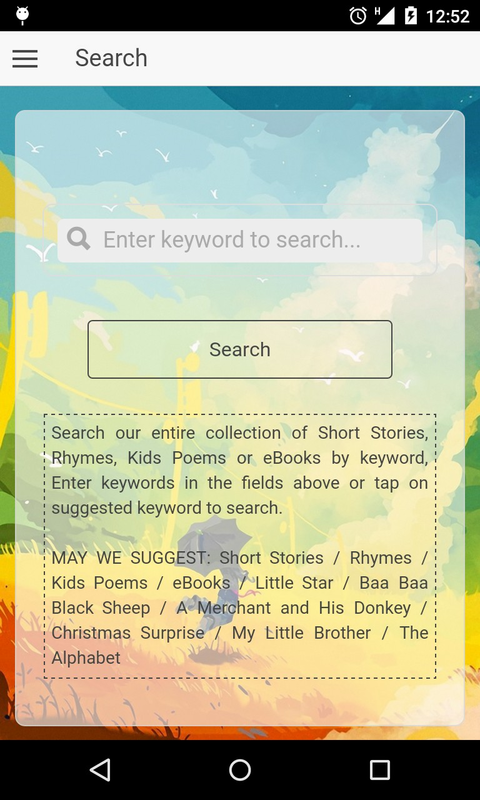 - Search by keyword to find our entire collection of stories , poems, rhymes, alphabets and many more. 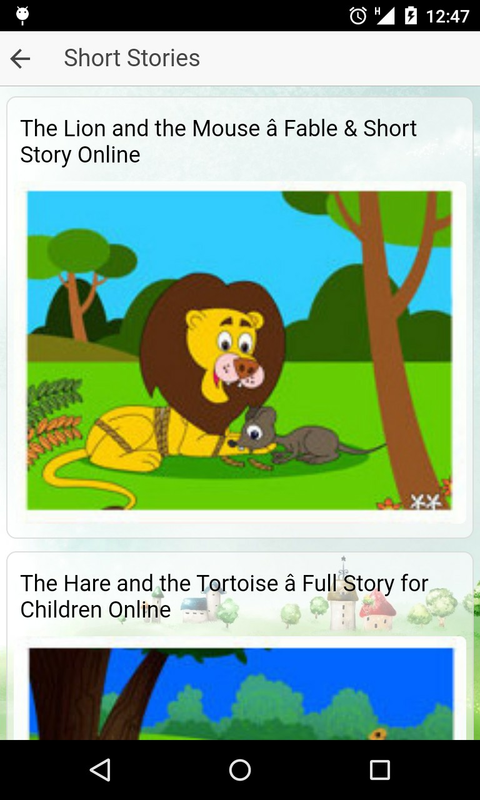 - Enjoy reading from a library of over 150+ educational children’s stories. - Kids Learning is quite simple and easy to use. Makes English learning easy and fun! 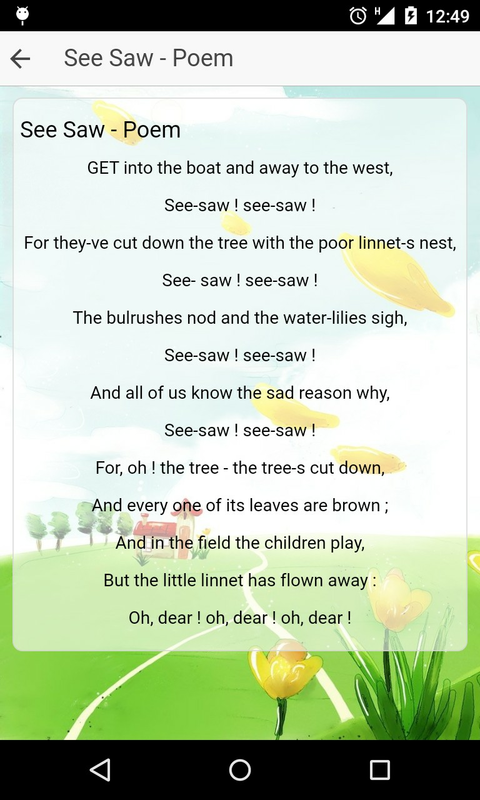 - Most popular Nursery Rhymes and Poems in your pocket!! 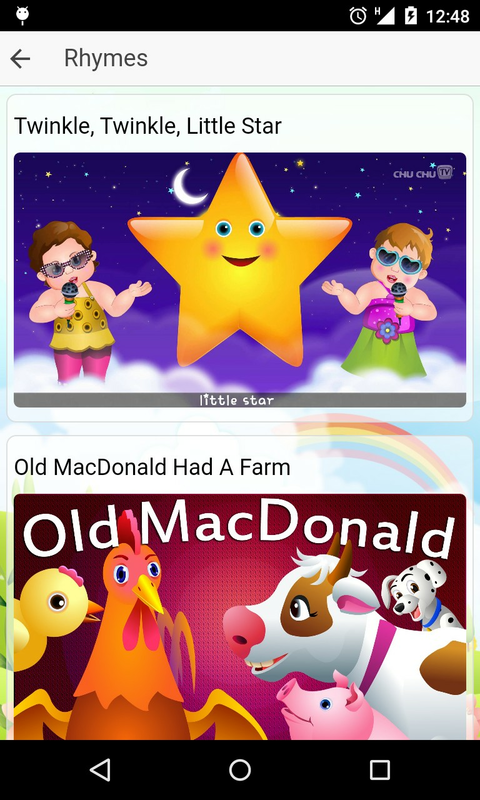 - Kids can also associate the thumbnails with each rhyme. 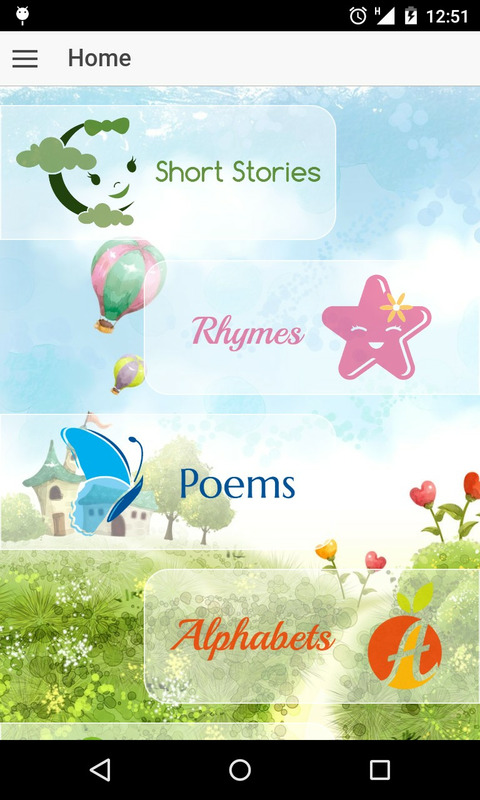 - Added new feature Learn Alphabets. - High quality pictures and videos for each rhyme. - Colourful background to attract kids. - No internet connection required to play the app. - No social media links. - It's FREE and will always be.